Most people listen to music while working out. Each person is different when it comes to their play lists. Personally, as a runner, I like upbeat rap and today’s hits to flow through my brain and body to sort of pump me up and get me through a grueling workout, however, when I do Yoga I crave a different type of music. Most yoga classes I’ve been to have music playing in the background that is soothing to the body and brain. This allows you to be in your own head and flow to the hum that is playing in the background. The more soothing the music the better, the more present it makes you in your practice, the more effective the workout, in my opinion. Putamayo World Music, a record label founded in 1975, has become known over the years for making sound tracks of feel good music, by gathering music together from all over the world and its diverse cultures. Rock, Paper, Scissors is promoting the release of World Yoga on October 16th. Whether you are looking to get your yoga on or need some new sounds for meditation, these tracks are where it’s at! You can stream the entire ablum here first. After listening to song numero uno, you’ll want to hear the whole CD. The tracks themselves flow much like a yoga class where they start off slow to quiet the mind and gradually become deeper to accompany more intense moments of a practice and end with deep relaxing songs to finish. 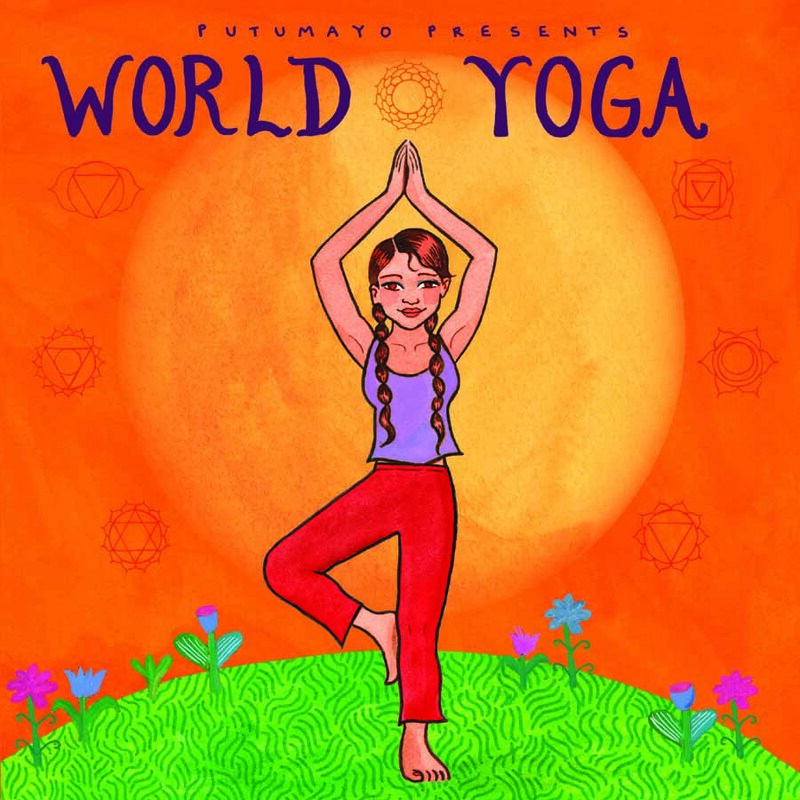 World Yoga has pulled music from Wales, Tibet, Armenia, Uganda to achieve these well rounded tunes. Sean Johnson, who helped advise on the album and who contributed to the “Ramachandra” chant maintained that the creation of this album was to “reflect yoga’s full geographic scope.” This untraditional soundtrack does just that. The music reflects Yoga as a global practice and I encourage you all to take a listen and find for yourself a relaxing tune or two, to turn off the hip-hop and breathe into some new music.
. (***author’s note: For me, here’s to walking to work listening to World Yoga rather than having Justin Beiber’s, ‘Girlfriend’ play and unfortunately stuck in my head all day as a result). At the end of the day yoga teaches us to extend our practice into our everyday lives. Ask yourself, how can you leave your mat and serve yourself? Music is the key to making a lot of people feel good, and this soundtrack undoubtedly will. Share it with your instructor if they haven’t already heard of it. I’m sure they will enjoy it as much as you will. Find out more about Putamayo World Music click here and check out Rock, Paper, Scissors to see what other cool/interesting world music they are promoting! Lili Roquelin American Music with French Style.